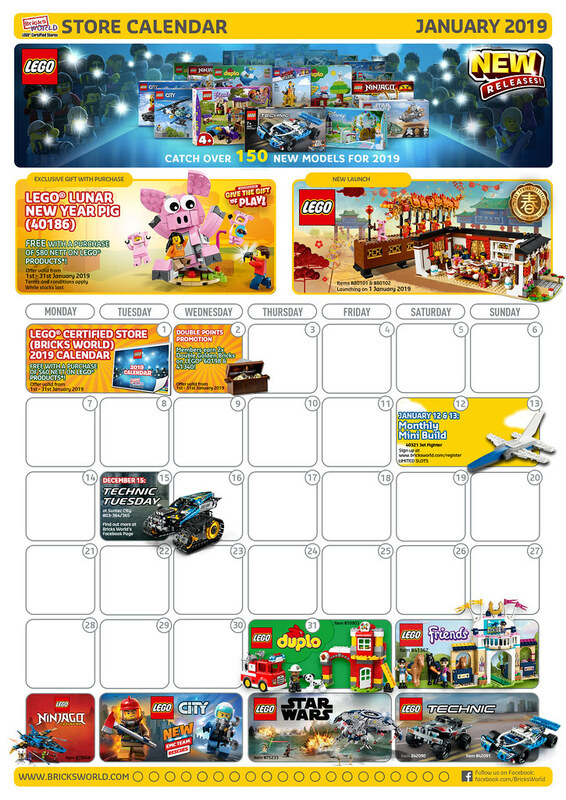 The main attraction for the month of January would be the region exclusive LEGO Spring Festival sets and the LEGO Lunar New Year Pig (40186) gift with purchase promotion. Also for this month will be a new Monthly build and Technic Tuesdays are back as well! January 1st: LEGO Chinese New Year Dinner Eve (80101) and LEGO Dragon Dance (80102) launch! 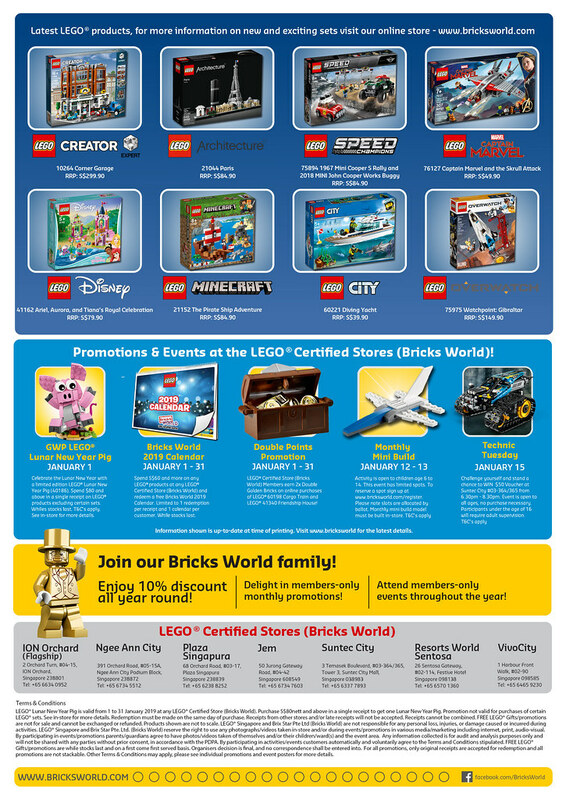 January 1st – 31th: Free LEGO Lunar New Year Pig (40186) with a purchase of SGD$80 on any LEGO Products. While stocks last.